What is the purpose of the baptism in the Holy Spirit? Do believers who are not Spirit-filled have the Holy Spirit? What does it mean to "walk in the Spirit"? In The Spirit Within & The Spirit Upon, Rev. Kenneth E. Hagin answers these and other questions as he shows that the New Birth and the baptism in the Holy Spirit are two separate and distinct works of the Spirit of God. 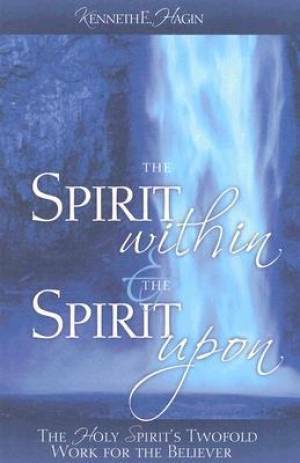 Spirit Within And The Spirit Upon by Hagin Kenneth E was published by Faith Library Publications in June 2003 and is our 30350th best seller. The ISBN for Spirit Within And The Spirit Upon is 9780892765331. Be the first to review Spirit Within And The Spirit Upon! Got a question? No problem! Just click here to ask us about Spirit Within And The Spirit Upon.